I had some leftover maple butter from this recipe and some pumpkin puree leftover from this recipe. What to do, what to do?? 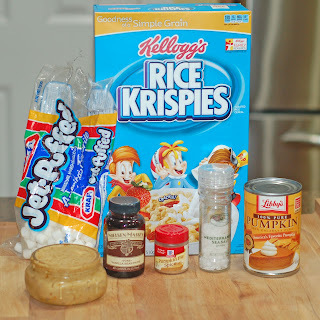 How about some Rice Krispie Treats? Well, that's just what I made. I am really beginning to like pumpkin. I also ended up throwing in some leftover dark chocolate chips at the last minute. That was a good call. This is such a quick and easy recipe. And so far this is my favorite of all my Rice Krispie treats. 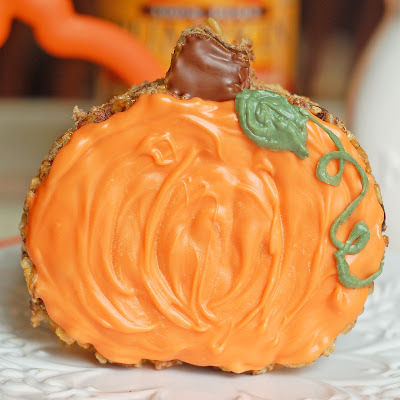 It has all the wonderful flavors of pumpkin spice, maple, and dark chocolate with an added crunch factor. 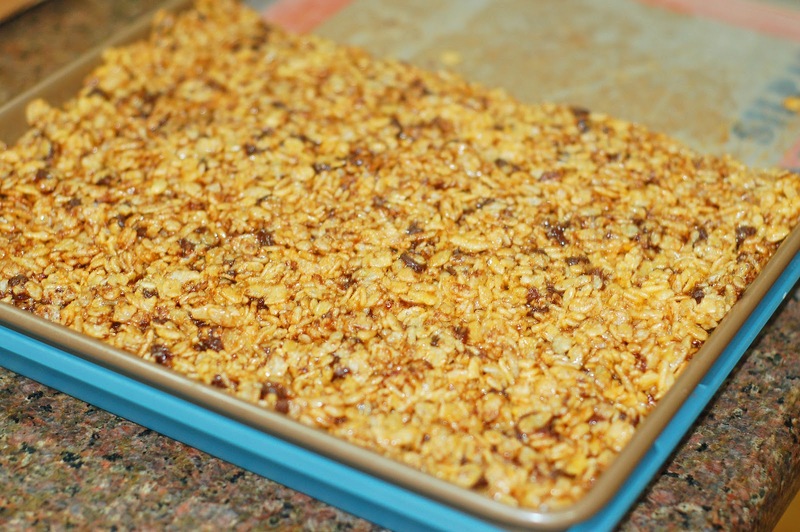 It doesn't taste anything like your average Rice Krispie treat. In fact, it almost tasted like a granola bar. It had a bit of a nutty flavor and was super moist and chewy. I cut mine out in the shape of a pumpkin for fun, but you can certainly make yours into bars and drizzle with dark chocolate. 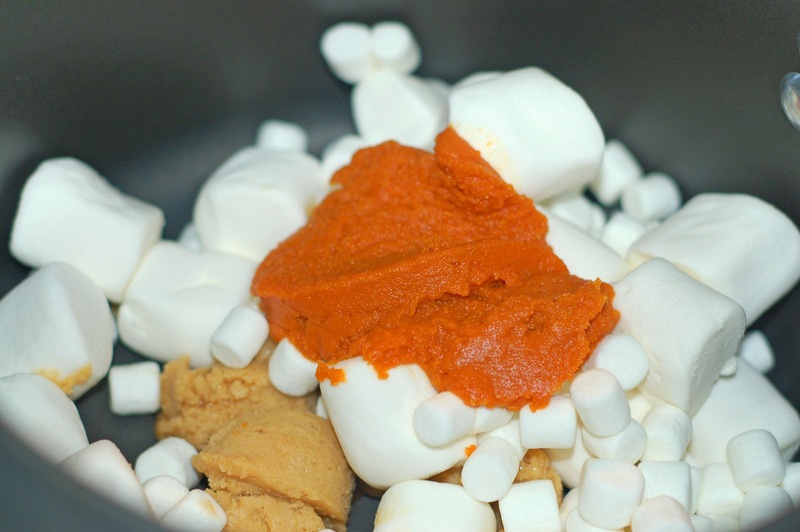 In a large sauce pan, melt butter, marshmallows, and pumpkin over low heat. Stir until completely melted. 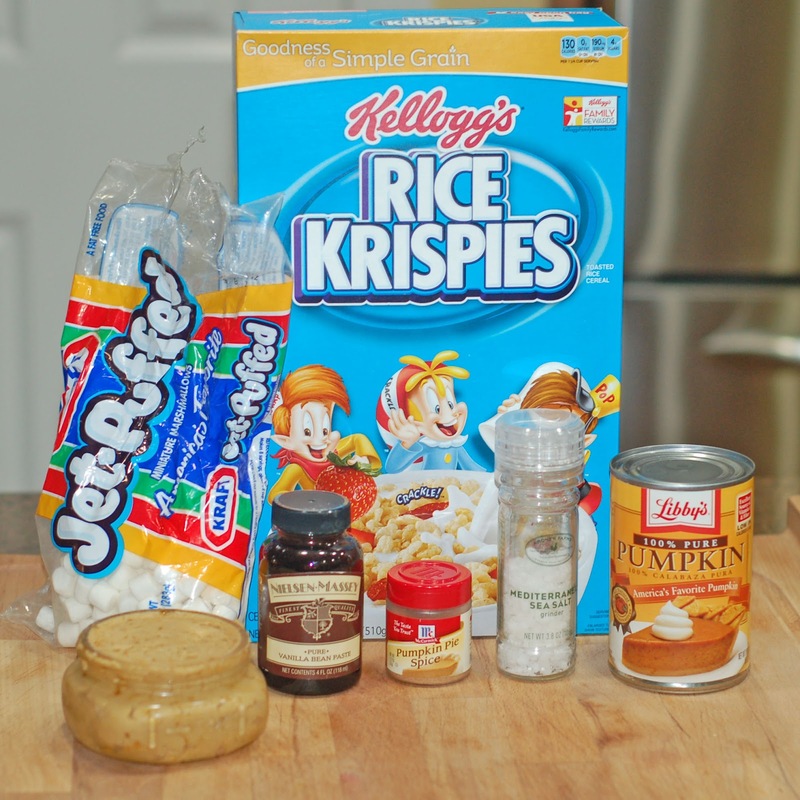 Remove from heat and add pumpkin spice, vanilla, and salt. Let mixture cool for 5 to 10 minutes. 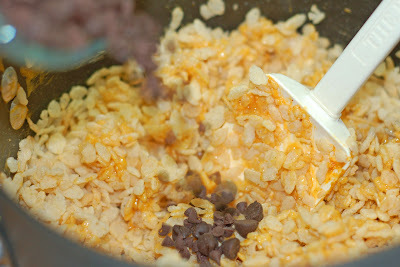 Once cooled, add Rice Krispies one cup at a time and stir until it is all well blended. Place dark chocolate candy melt in a microwave safe bowl and melt for 30 seconds at a time until completely melted. Outline the shape of the stem with the candy melt and fill in. 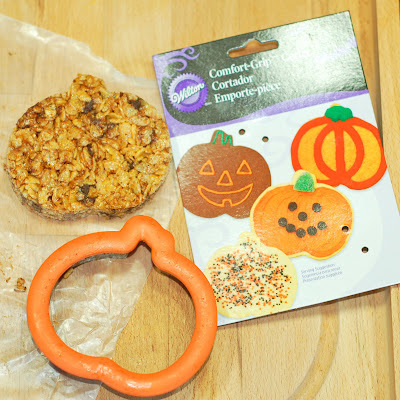 Then melt the orange candy melt and place in another Ziplock bag with tip snipped off and carefully outline the pumpkin shape with the candy melt and fill in. Last melt the green candy melt in the same fashion and place in a third Ziplock bag with tip snipped off and carefully draw a leaf and a curly vine. These are so perfect for fall! I love how you use maple butter and pumpkin! I was just sitting my friends daughter, and we made peanut butter & chocolate rice krispie treats. Maple and pumpkin is much more creative, not to mention cute! What can't you put in a rice krispie treat? These sound AMAZING!!! And I love how you cut them out & decorated them!! They are so stinking cute! Pinning! Thanks so much for joining in at Mom's Test Meal Mondays!! Hope to see you again!! These look SO yummy, my toddler would love them! I absolutely love using up ingredients and making something fabulous! The decorated treats are so stinkin cute!